It doesn’t get much more local than this. 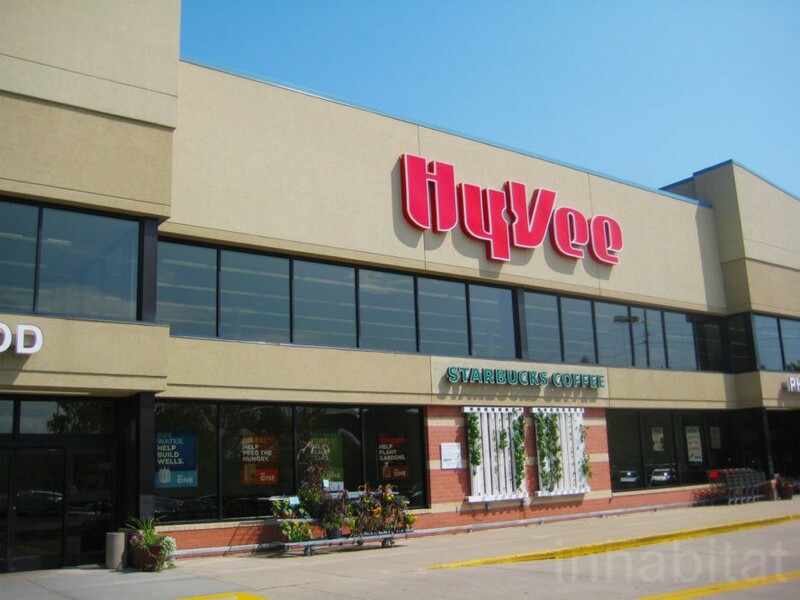 In Davenport, Iowa, Hy-Veegrocery store commissioned Friday’s Fresh Market (FFM) to install and maintain two eight-tower Grow Walls, or hydroponic vertical gardens, on the outside of their store – which they then sell inside. Owner Andrew Freitag told Inhabitat they can obtain between 10 and 15 pounds of fresh produce every week, depending on the crop. Basil, lettuce, and mint flourish on the outdoor Grow Walls at Hy-Vee, installed by FFM in May this year. There’s no soil needed here: the plants are suspended in a growing medium made from recycled plastic bottles and grow in the sunlight. 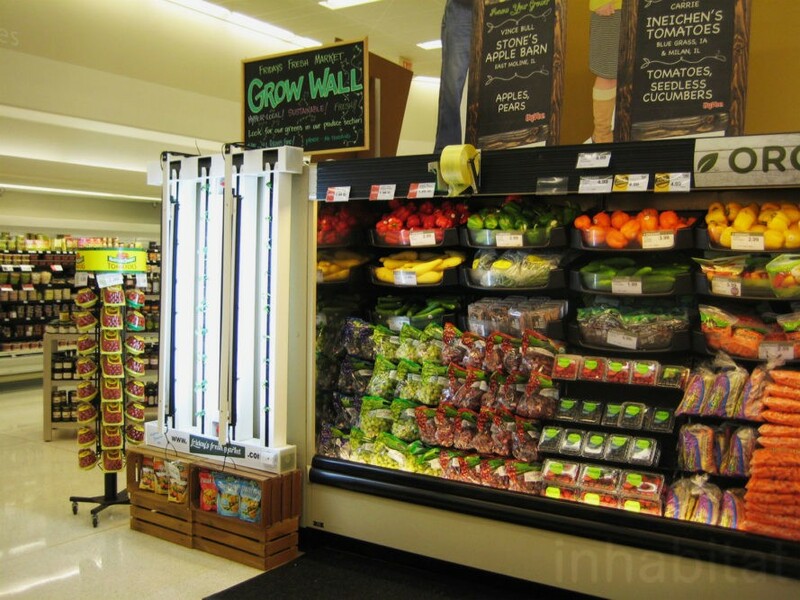 FFM also installed a smaller Grow Wall inside the grocery store in the produce section. They maintain both systems, germinating seeds, transplanting, supplying nutrients and water, harvesting, and packaging the produce for sale in the store. The Grow Walls aren’t the only aspect of FFM’s business. They also cultivate indoor farms in shipping containers, using the same towers and irrigation system as a Grow Wall. Freitag said these farms consume around 90 percent less water than traditional methods, and since FFM can control the environment, produce grown inside the shipping container farms is more colorful and flavorful, with a higher nutrient content. She said FFM started pursuing hydroponics as a more efficient, sustainable way to grow fresh food, no matter the weather outside. Aug 30 What is AgriFood Tech?